Roxanne relies on Metro Transit for a lot of important reasons. Today, Roxanne is heading to work. To do that, Roxanne boards the #74 Florissant MetroBus route from her home and rides the bus to the Civic Center Transit Center in downtown St. Louis. From there, she transfers to MetroLink and boards a Blue Line train to the Richmond Heights MetroLink Station. For Roxanne, Metro Transit is an effective alternative to driving. It’s also helps lighten the load on her pocketbook. 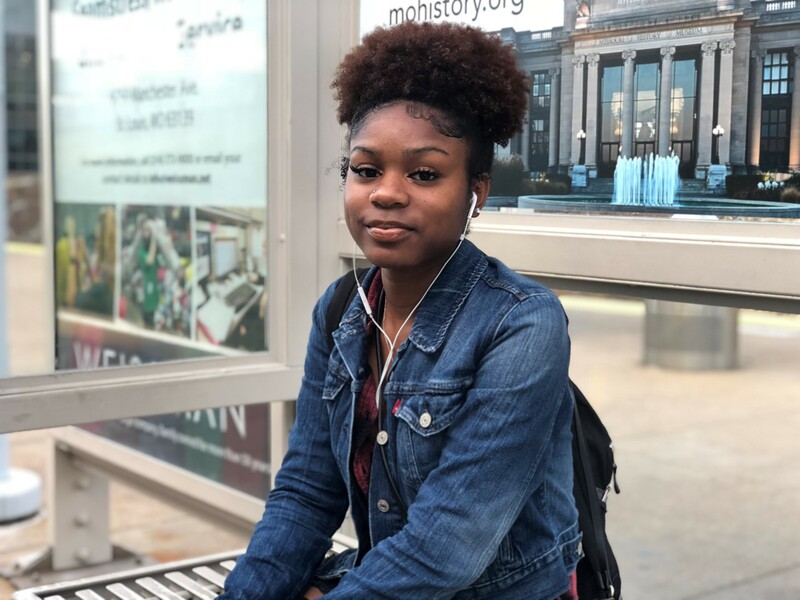 In addition to going to work, Roxanne also uses Metro Transit to get to St. Louis Community College at Florissant Valley. As a student at St. Louis Community College, she can take advantage of the University Pass program. Through the U-Pass program, participating local colleges and universities pay for all or part of a transit pass, and students can enjoy unlimited rides on MetroBus and MetroLink.